Vented Flat UPVC Plastic Soffit. Vented Flat UPVC Plastic Soffit. Use as soffits under the eaves of your roof or as a general purpose flat board, use 30mm Pins to fix or an edge channel if you wish to avoid pins showing. Description Vented Flat UPVC Plastic Soffit. Produces continuous air flow. Vented Flat UPVC Plastic Soffit. Use as soffits under the eaves of your roof or as a general purpose flat board, use 30mm Pins to fix or an edge channel if you wish to avoid pins showing. C.. 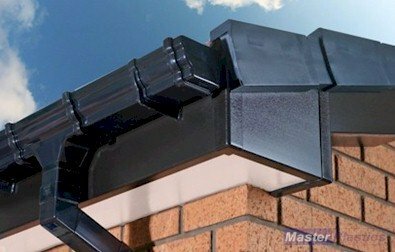 Description 405mm Black Ash 9mm uPVC 5m Vented Flatboard / Soffit. Produces continuous air flow. Vented Flat UPVC Plastic Soffit. Use as soffits under the eaves of your roof or as a general purpose flat board, use 30mm Pins to fix or an edge channel if you wish to avoi..